All personal data collected by Fattoria San Martino will be processed in full compliance with all provisions stated in the Italian Law D.Lgs. 196/2003, which enacted legal regulation regarding safety and security in the processing of personal data and the user is entitled to exercise all rights as provided for in article 13 of the Italian Law number 675/96. According to the article 7 of the Italian law D.Lgs 196/03 any data subject has the right to obtain any information relating to the processing of his data or to the kind of specifically required data and their source; moreover this data subject has the right to check if the above mentioned data are right, to ask for their integration, their updating or their rectification or, in case any breach of the law had occurred, the data subject has the right to have his personal data erased, transformed into an anonym form or even blocked easily by communicating his will to the Fattoria San Martino address. The processing of data is carried out in such a way as to assure the utmost discretion with the aid of automatic devices to store, manage and pass on the above mentioned data. Fattoria San Martino will not be liable for consequences caused by force majeure events or by events not depending on his own will. 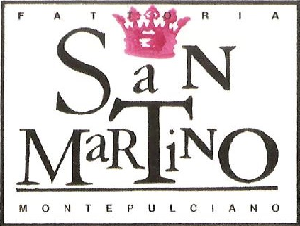 Fattoria San Martino will not be held responsible for possible data processing carried out by advertising companies hosted on the web-site https://www.fattoriasanmartino.it. Fattoria San Martino does not process sensitive data. Therefore we kindly ask our customers not to fill in the form any data relating to their ethnic origin, to their religious, philosophical nor political beliefs, or to their membership in trade unions, political parties or religious associations. The data you entered may be used for communication purposes by Fattoria San Martino. Under no condition Fattoria San Martino will be liable for any damages caused by direct or indirect access to the website, by the use of interactive devices, by inability or impossibility to enter the website, nor by any information included in it. Fattoria San Martino reserves the right to modify the website contents as well as legal remarks at any time and without prior notification. Fattoria San Martino is not liable for what concernes websites accessible from links contained within his website. Fattoria San Martino is not liable for information the user may get by entering websites accessible via hyertext links. Hence for entirety and precision of information those to be held responsible are owners of this websites, which can be entered according to terms and conditions stated by the same websites. 3. (3) documents used may not be altered in any way. Any other use of this content will be punished according to the law. Graphic structure and elements of the web-site https://www.fattoriasanmartino.it are not considered part of the above mentioned documents – All elements of this website are protected by trade-law and other laws, therefore they may not be copied nor reproduced in any other form, be it totally or only partially altered. – Logo and graphics of this website may not be copied nor submitted without clear permission given by Fattoria San Martino. All written contents derived from other sources are copyright, all rights reserved, and belong to their own registered trademark. Disclaimer – Documents available on this website may contain inaccuracies or typing mistakes. Fattoria San Martino disclaims all liability for websites you can link to from this website.- With these web pages, Fattoria San Martino does not want to violate any copyright. – Information and images available on this website are public, at least as far as we know.- If, not knowingly, we published content that is under copyright or that violates the law, please let us know it and we will remove it as soon as possible. – The content of these pages is not at all meant to offend nor hurt anything or anybody. – Would that be the case, please, let us know it and we will act as soon as possible.- Products names, corporate names and companies mentioned in this website may be trademarks belonging to their holders or registered trademarks belonging to other companies and they all have been used solely for information purposes and to their owner’s advantage, without aiming at any copyright infringements. – Fattoria San Martino reserves the right to modify the content of the whole website and of this disclaimer at any time and without notice.